Sculptors from Umeе at "Hyperborea - 2013"
"Icy lounge" was presented to Petrozavodsk citizens by Swedish sculptors Reidar Rova, Olov Martling and Roger Johansson from sister-city Umeå. It took three days to build icy sofa, two armchairs, a table and a TV set. 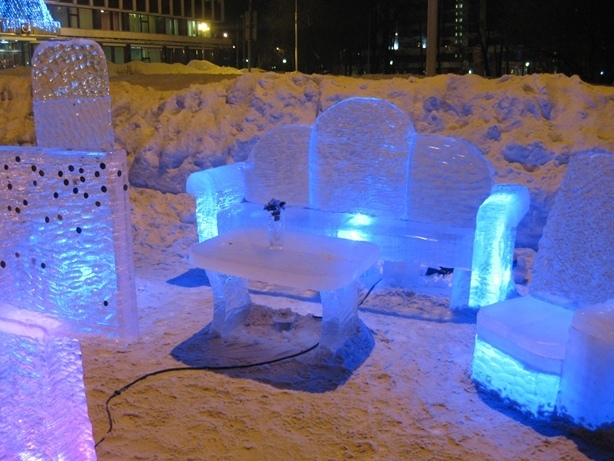 Unusual lounge became the most popular interactive object among the ice sculptures. Reidar Rova, leader of the sculptures' team, is responsible in Umeå kommun for the issues of urban landscape development. This year is his third experience of participation in the Contest of Ice&Snow sculptures in Petrozavodsk. 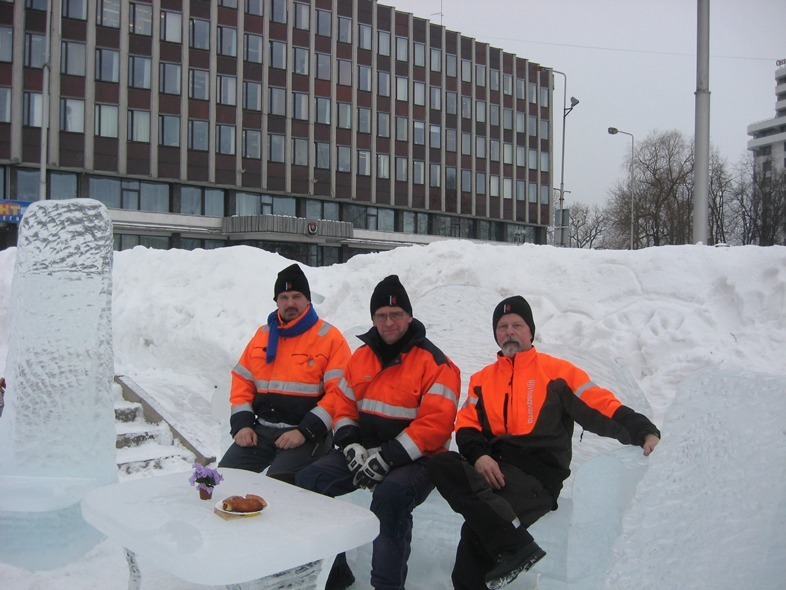 City of Umeå has the similar activity, each year arranging snow installations in the city center with snow hills, benches and furniture. According to Reidar, Olov and Roger, who are responsible for the creation of the snow installations in Umeå, during January-February snow sculptures are attended by over 35 000 visitors. In 2014, when Umeå is the European Capital of Culture, it is planned to involve in the festival few teams of ice sculptors from Petrozavodsk.